Step 1: Click on My Clients on the left menu. Step 2: Click on New Client on the top right of the screen. 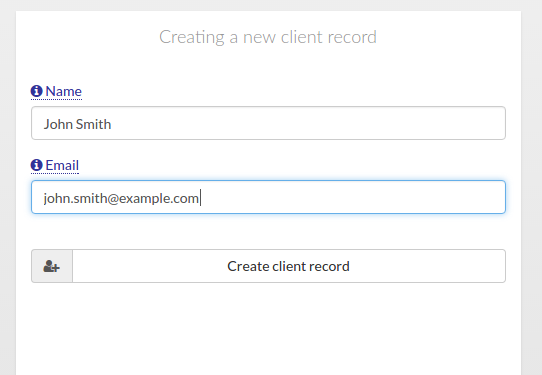 Step 3: Enter the name and email of your new client record. Take into account the system will use the name and email you enter here when you email a contact regarding a questionnaire or appointment. Step 4: Click on the Create client record button. You will get a notification confirming the new client record is saved. Done. Your new client record has been added to NutriAdmin.